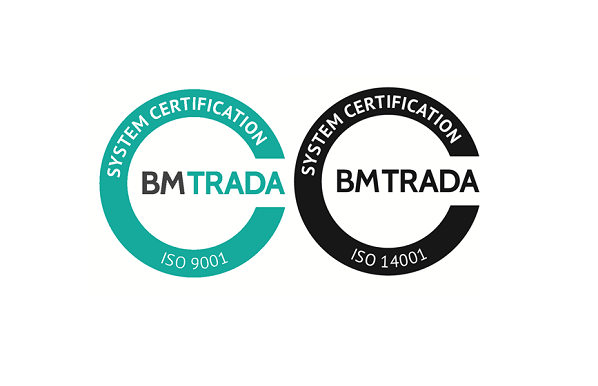 We are delighted to announce that we have just been awarded ISO 14001:2004 and ISO 9001 accreditation. ISO 14001:2004 is the international standard for environmental management systems, a framework for making policy and process changes that help improve environmental performance. This certification provides us with the tools and credentials to grow our business in an environmental and economically sustainable manner, ensuring we reduce our impact on the environment and stay legally compliant. ISO 9001 is a certified quality management system, the first step of a process of continual improvement which provides us with tools and guidance to improve working practices throughout our organisation. This accreditation is a great benefit to both our organisation and also our customers as it sets in place strict quality guidelines for both service and product ensuring that working for or with us is always a smooth process. At The Woodhorn Group we have always taken our impact on the environment seriously with all aspects of our business managed with environmental and economic sustainability at the core. These ISO certifications will allow us to push even further, providing us with structure and a clear progression plan for ongoing environmental improvement.